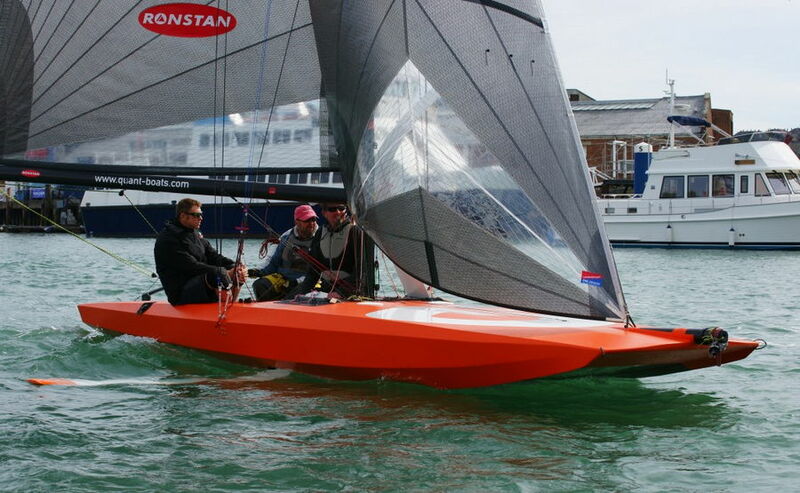 Dynamic Stability System (DSS) is pleased to unveil the Quant23, which after its first preliminary sea trials in Cowes last week has proved itself to be one of its first – if not THE first – fully foiling keel boat. Designer Hugh Welbourn has spent more than 10 years developing the patented DSS, which comprises a retractable hydrofoil that is deployed to leeward on a yacht. 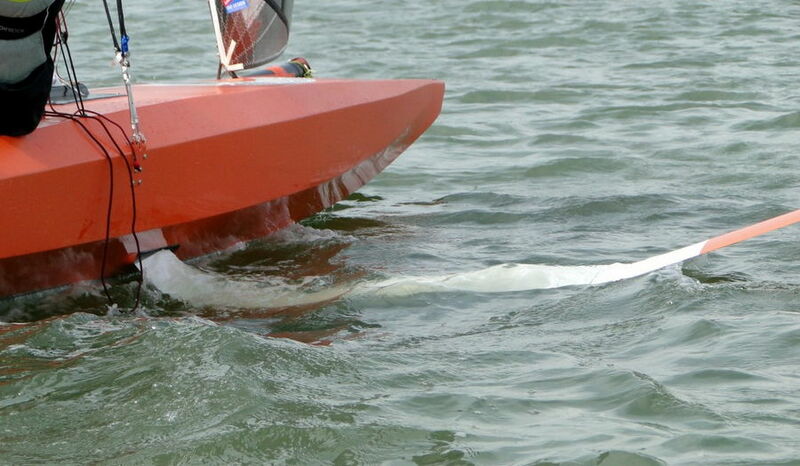 The foil provides vertical lift to leeward, improving the yacht’s righting moment, an effect similar to having extra crew on the weather rail or a bigger keel bulb, and in turn dramatically increases performance. DSS foils feature on a wide range of racing yachts such as multiple Rolex Sydney Hobart winner, Wild Oats XI, to the high performance Infiniti range of racers and cruiser races to sportsboats, Minis plus all manner of craft between. 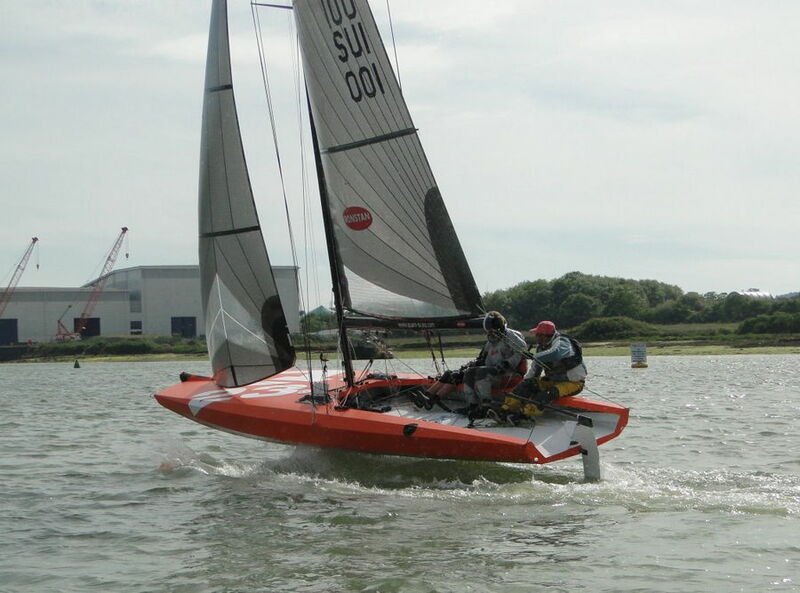 However the very latest DSS foils not only provide righting moment, but extra vertical lift beneath the boat too, which, in combination with a T-foil rudder, enables the Quant23 to sail fully airborne. “It’s about finding the best balance between things that allows to you to fly three crew plus a boat with a 60kg bulb, a flying keelboat. without any great drama,” says Welbourn. He adds that the new generation DSS foil should be scalable, although at the end of the day physics comes into play.